Is there a better alternative to Schedule? Is Schedule really the best app in Applications category? Will Schedule work good on macOS 10.13.4? Schedule was developed to help Users plan and track Projects. Tasks are added with their Start Date and Duration into a Task Table. If a Task cannot start until another Task is finished, that dependency is indicated. End Date is calculated automatically. The Task Table can have as many Tasks as you need. If you edit Task data in the Table, dependencies and End Dates are recalculated. Task Table data can be printed and plotted. Schedule needs a review. Be the first to review this app and get the discussion started! Schedule needs a rating. Be the first to rate this app and get the discussion started! 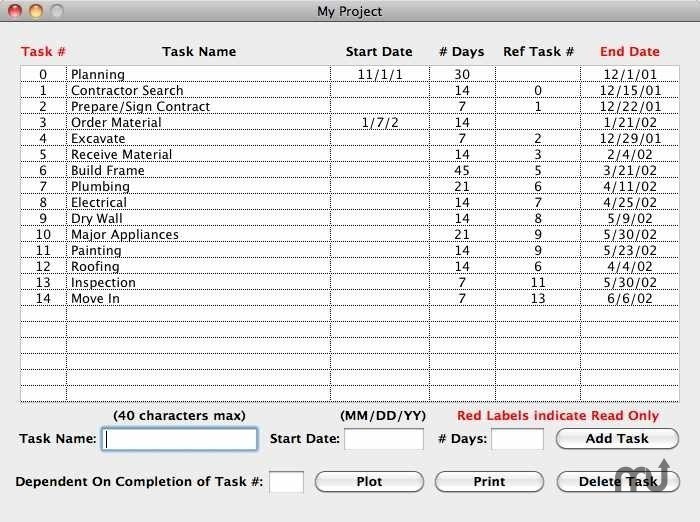 The Plot timeframe adjusts automatically so that the project fits on one Landscape formatted page with a Time Tape indicating start of months or years as appropriate. 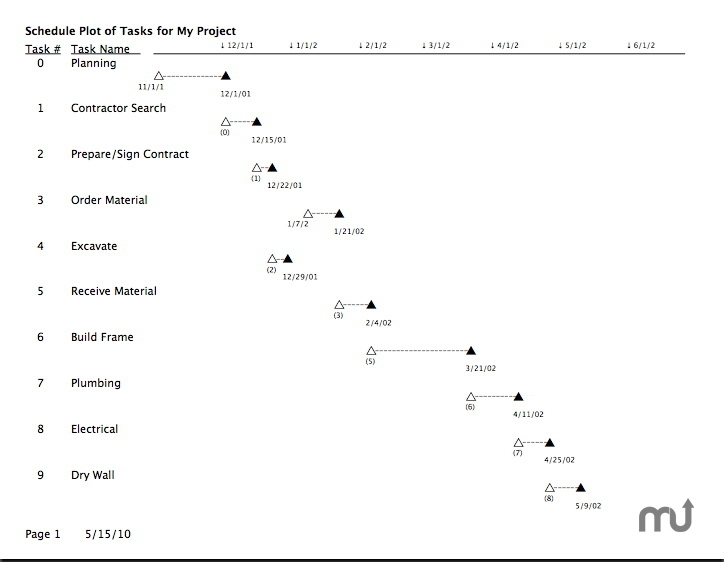 A Project can have a timespan of up to 25 years. Schedule handles Project dates from 2000 through 2049. Schedule is $20 shareware. Users can try Schedule for up to ten launches before registration is required.